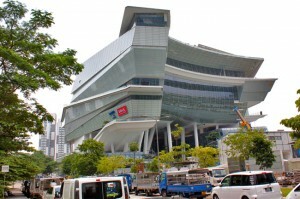 The building looked like a ship that is cruising on calm waters at Hoot Kiam Road. In the worship hall there were Africans, Australians, and Americans peppered among the locals in the 100 or so people who attended the 11am Sunday service. This mix is not unusual as surrounding the church’s location were scores of condominiums, private apartments and shop houses. 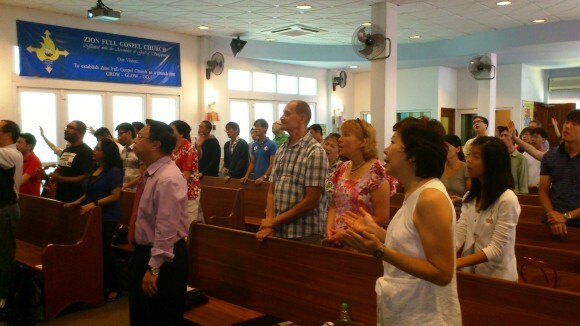 Even expatriates need a church, and it must be the Lord that drew them. 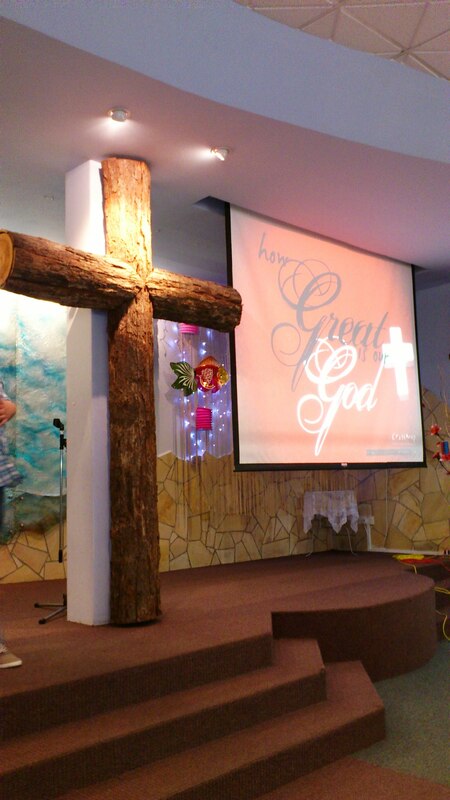 Zion Full Gospel Church is about 300 strong and they have an unusual Finnish origin. 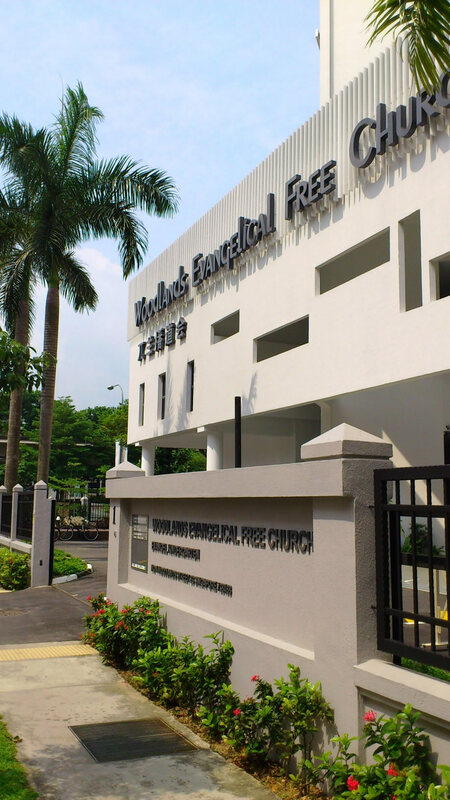 Sisters Nilja Nikkanen and Aira Kolkka were missionaries who left China after the communist takeover in the 1950’s and were led to preach the gospel in Singapore, playing the guitar and singing Mandarin songs in the Street. Out of this grew the first among several churches started by the Finnish mission. Rev Alfred Yeo had invited me to preach in the service and I was happy to accept as I had often noticed the church as I drove past the main road and wondered about it. Confident and friendly, Alfred is one of the more forward thinking Assemblies of God pastors who moved early into ministry to social needs , something generally put on the backburner in most AG churches. He was an executive director in the AG when this church asked for the fellowship’s assistance and he was released to be their interim pastor. This later developed into a permanent appointment. 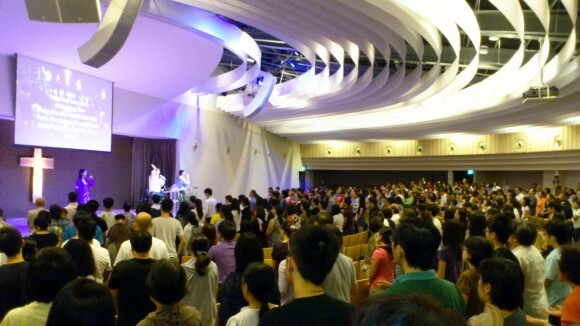 ZFGC was the first church to house its worship in a shopping center. Way before it became popular with the megachurches in Suntec City, Zion held its worship services in Queensway Shopping Center, and later made it the base for their coffeehouse ministry, another first. The worship leader chose songs that were in line with the message even though he did not know what I was speaking on. That encouraged me in my preaching and I believe my prayer for the service that the Lord be revealed clearly, and loved more dearly was answered. The altar call I gave was a call for them to spend five minutes in prayer and silence where they were seated. Many services need more time of prayer and quiet. We tend to fill every minute, ever second, with sound and voice and noise. We do not make space for stillness and prayer and listening to the Lord. We squirm or look around listlessly after 2 minutes of silence. Thankfully the congregation was able to pray and experience His presence in the stillness and quiet as from the pulpit I could see people deep in prayer or visibly and emotionally touched by the Lord. Later I had a nice chat with Ruth and Ron, friends I used to play tennis with, but unfortunately we could not lunch together, so my wife and I went to Great World City’s food court, a five minutes stroll away. Convenient. 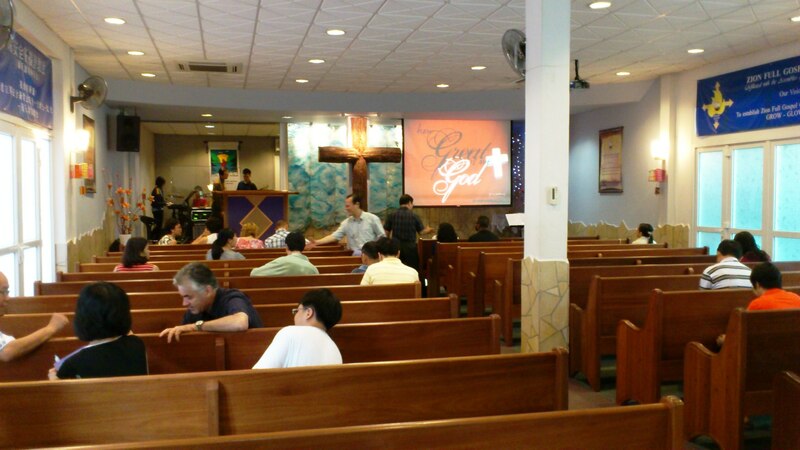 The last time I visited this church they were still called Bukit Timah Evangelical Free Church and they were located at King Albert Park. The pastor then was Rev Lee Twee Kim and his wife, Poh Choo, who was for a while my Sunday School teacher. 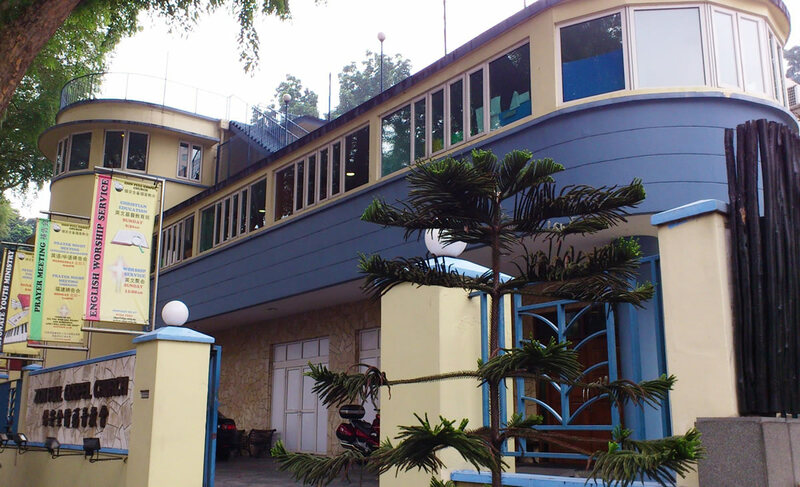 When I was in Primary school, my parents sent me to the Sunday School there, to learn good morals, I suppose. A van would faithfully pick me up from the Princess Elizabeth Estate bus terminus, and send me to church where I would listen to Bible stories with flannel board illustrations, and weekly we would receive pretty cross-shaped bookmarks. 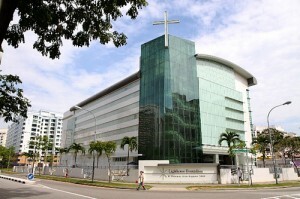 The church was at Yarwood Park, and then it moved to the Singapore Bible School premises at Adam Road. They were quite serious about their work for I remembered how the teachers came to visit my home when my brothers and I were absent for a long stretch. I doubt Poh Choo, would ever have imagined that the boy who occasionally attended her Sunday School class, would one day be a pastor. This Sunday morning, I visited the church of my childhood again. Woodlands Evangelical Free Church is its new name, as it has moved to the heart of the Woodlands HDB housing estate , a 20 minutes car drive away from where it once was in a wealthy suburban area. They have been in Woodlands since the middle of 1990’s but have just moved in July 2011 to a spanking new building. They have outgrown the first building so they tore it down and erected a completely new one for 8.5 million. 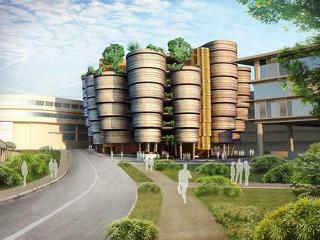 Compared to the former building, this new facility is superior in design and finishing. The place of worship gave me a feeling of being in a modern worship space, with a beautiful ceiling that reminded me of a rippling effect of God’s grace on the surrounding community. The fan-shaped configuration and generous seat space maximized warmth and eye contact with the ministers on stage. The fellowship hall at the ground floor has tripled in size and the ceilings were padded with material that absorbed sound so that Kenny and I could chat without shouting to be heard. It was meant to be a surprise visit and I was looking forward to hearing an expository message on a new series Rev Kenny Fam had started on the book of Ecclesiastes called “Purposeful Living in A Secular World”. 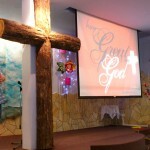 This church has a tradition of expository preaching of the books of the Bible, even from the days of his predecessor. However, most surprises get unsprung, and it was so in this instance: it happened to be the Yellow Ribbon Sunday and they had invited a guest speaker, Rev Chiu Ming Li, a prison chaplain, to share God’s Word and something about the Yellow Ribbon project – which ministers to prisoners and help them re-integrate back into life after they have served their prison term. The service started at 11.15am and I was glad there was a car park lot available at the open air car park next to the church. 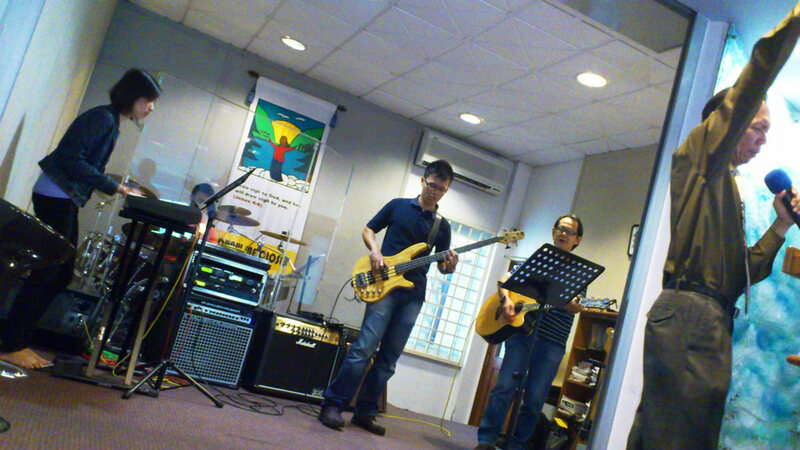 The songs were familiar worship choruses of the decade ago, sedate songs people aged 35-55 would be happy to sing. It was communion Sunday and I liked it that they took their time to celebrate it. They had two videotaped testimonies of ex-prisoners whose lives were transformed by Christ while in prison and have settled well into the church and life. That was encouraging. What I drew from the message was a glimpse of what it meant to have rivers of living water in your life. He was painting a portrait of a person who can feel as God would feel, a human alive to feeling the pain of others, who would make life’s decisions from that posture, and who would live courageously, nobly and with hope. His avoidance of cliches about the abundant life, and his use of fresher words like “courage”, “noble”, “admirable” to describe a person overflowing with rivers of life, concretized for me what such a person would look like. 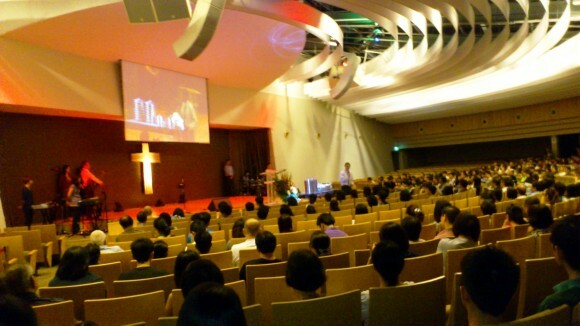 There were about 500 in attendance in this main service in an auditorium that seated 900 and I thought it was wise of them to cordon off with red plastic tape the two wings of about 200 seats each. The church has a total of about 1,200 in attendance. 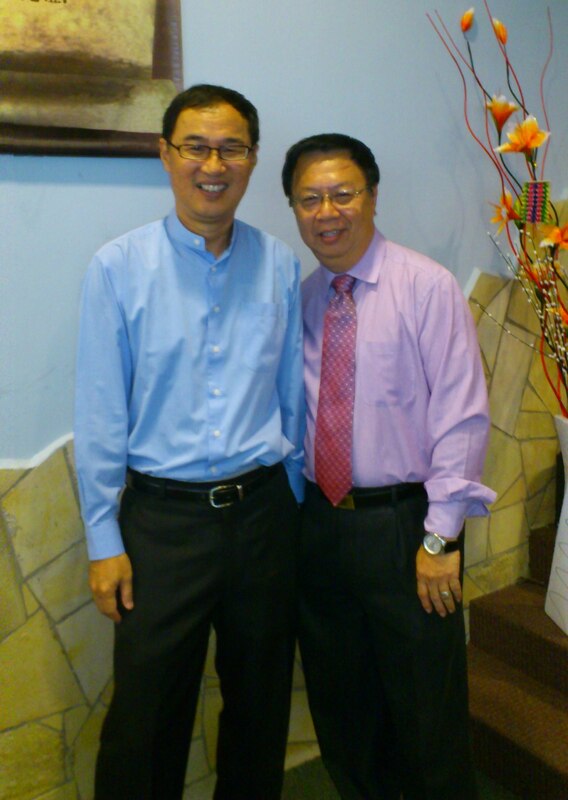 Besides their expository preaching, the church is also very strong in community work, prison ministries and missions. They are a shining light in the north, a witness to that needy and neglected part of Singapore. 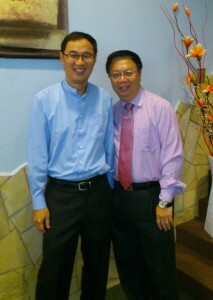 After the service, Kenny Fam showed Kenny Chee around the building. The church office smelt of brand new carpets and furniture, with glass-walled offices for all the pastors and open space for the administrative and support staff. We went downstairs and he bought me lunch, Malay nasi goreng in a packet, and we chatted briefly while talking. This was no time to catch up as he had a speaking engagement in the prison and had to rush off. It did not matter as I have known Kenny for some time. 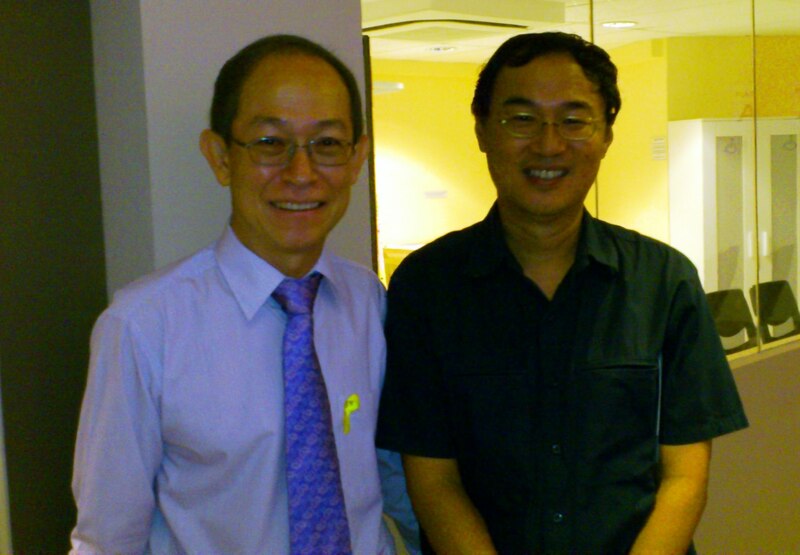 We meet with Rev Vincent Hoon of the Anglican church about 4 to 6 times a year. He is a person of integrity, full of faith, and with the courage to speak and stand on his convictions which were formed out of his study of Scripture, years of reflection, and life shaping experiences. Anyway I’ll meet him with Vincent another day. We will have more time then. 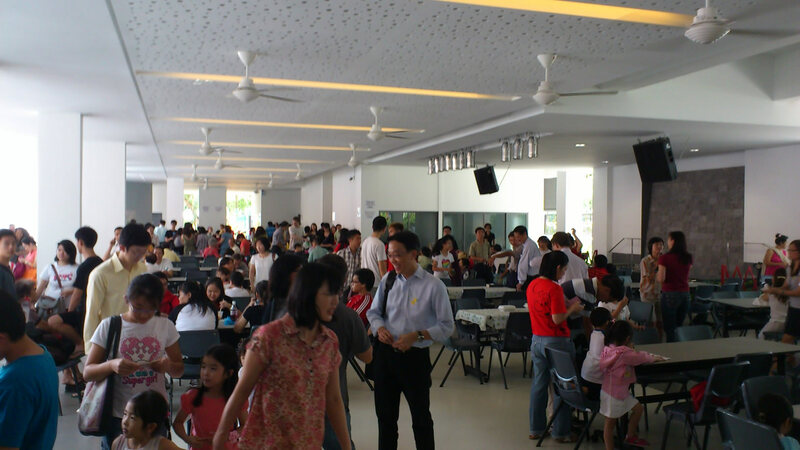 Sundays are usually not good days for lim kopi with pastors. They are usually busy; their minds can be occupied with many matters; or they may be tired from the day’s output.